My favorite Green Smoothie to help with detox, gut health, food allergies and overall wellness. I can’t say enough about why I love drinking my Green Smoothie! 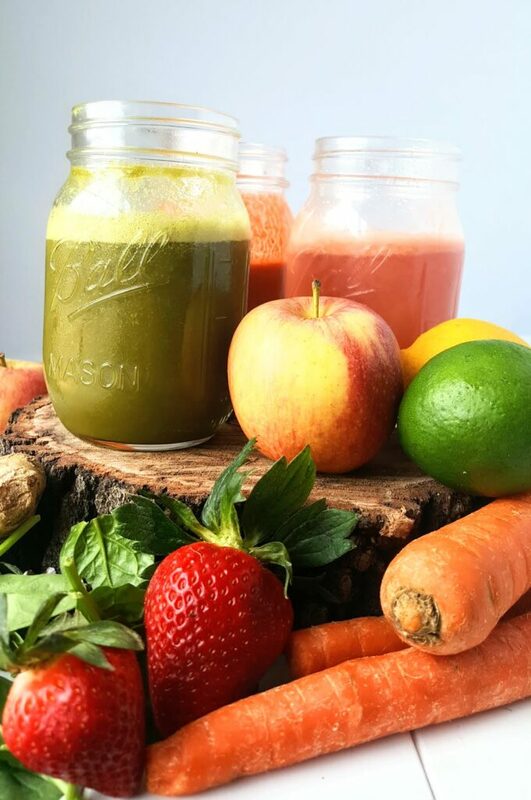 However, whether its by juicing or blending, a green drink is one of the most important “meals” you should incorporate into your daily practice. Well, to start, calorie for calorie, dark leafy greens have more nutrients than most other foods around. They are full of fiber, vitamins, minerals and phytochemicals which provide you with the tools you need to fight disease, inflammation, and even cancer. By incorporating these greens into your daily diet, you’ll be loading up on your own type of multivitamin, one that contain Vitamin A,C, K, potassium, folate and calcium, just to name a few. Plus, without getting too technical, it affects our bodies pH level. We are designed to function within a healthy pH range for cellular health, and when our blood pH becomes overly acidic (due to food and lifestyle choices, environment, medications, food sensitivities, etc.) your body will pull from other minerals to try to neutralize itself. It’s amazing how the body works, isn’t it? Anyways, even though this is a way to “self-correct” itself, if we pull from those reserves over a long period of time, it can lead to osteoporosis, yeast, bacteria & fungus build-up, an increase in food sensitivities, viruses and it feeds a multitude of disease in your body, including cancers. When we had some tests done on our youngest child (who was 7 at the time), we saw a large amount of yeast and bacteria build-up in his gut and intestines. And thats only after 7 years of eating (probably 3 years of poor choices). Also take into account the number of medications he had been on which helped him with his asthma and labored breathing as well as medications within the epi-pens that had to be used, he was pretty toxic. Green drinks have been a part of rebuilding his system and its done wonders, especially when its working along side of dietary changes. Changes like adding in all veggies, some fruits, dark greens, sprouts, beans, and drinking green juices, smoothies which can help make the blood and tissue become more alkaline. Foods like meat, dairy, eggs, sugary foods, coffee, and highly processed foods make it more alkaline so those are the things we cut out. Yes, my child LOVES coffee and only has it on rare occasions. We like to drink our greens, either as a Juice or a Smoothie. If you do nothing else, drinking one of these a day will make a big impact. The difference between these two is rather simple. 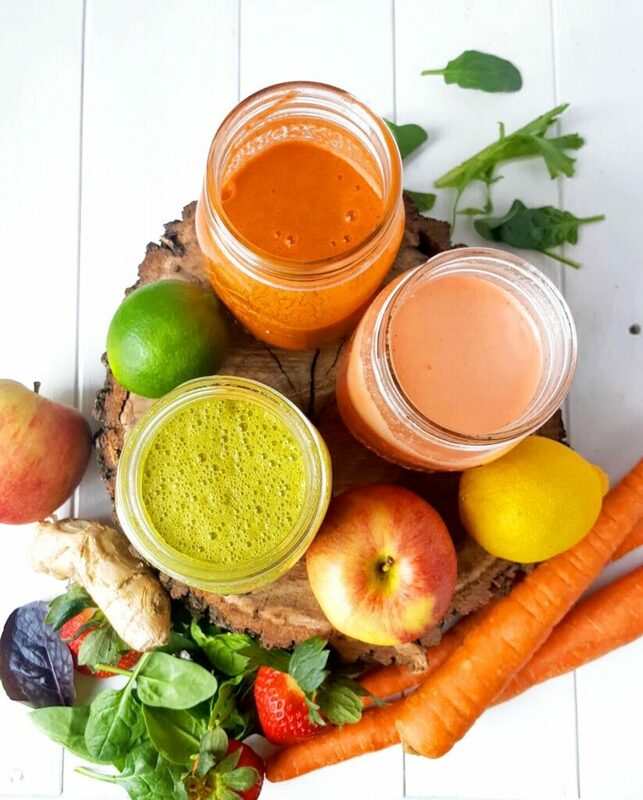 Juicing is instant and takes very little energy to digest and therefore gives your body a break so it can focus on repairing itself. The pulp is separated from the juice and since there is no fiber, your body can easily absorb the vitamins, minerals, etc. Smoothies on the other hand, are made in a blender and therefore the fiber remains in the drink which keeps you more full. Plus, you can add in other superfoods, healthy fats and protein powders. Each method has its own benefit which is why I like to have 1 of each during the day. The biggest benefit from either one you choose is that it is filling your body with a ton of nutrients in a short amount of time! 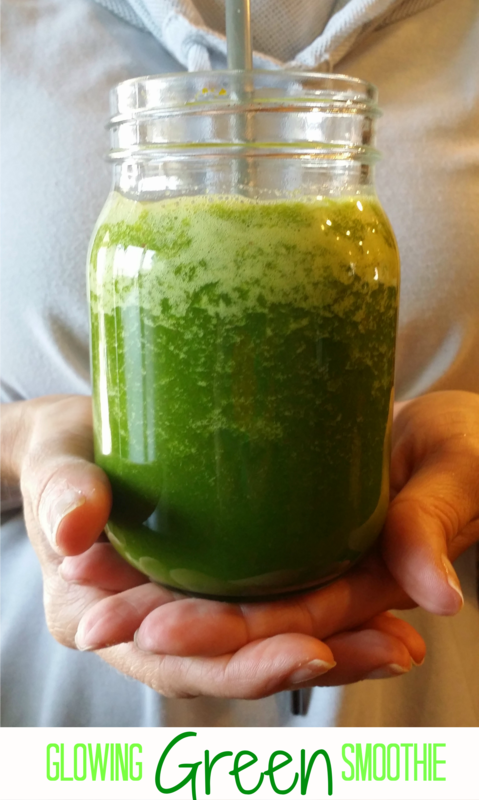 Have you ever made a green drink before? If so, I’d love for you to share your favorite one! And if not, here is one of my favorites from Kimberly Snyder of the Beauty Detox. This is a great one to do in a blender to help get you started. You can also check out Keto Green Smoothie from Green Healthy Cooking. It also sounds refreshing. Feel free to change up the recipe using greens of your choice, adding in protein powder, using Coconut milk instead of water or cutting the sugar by removing the banana. There are so many options to make it your own. 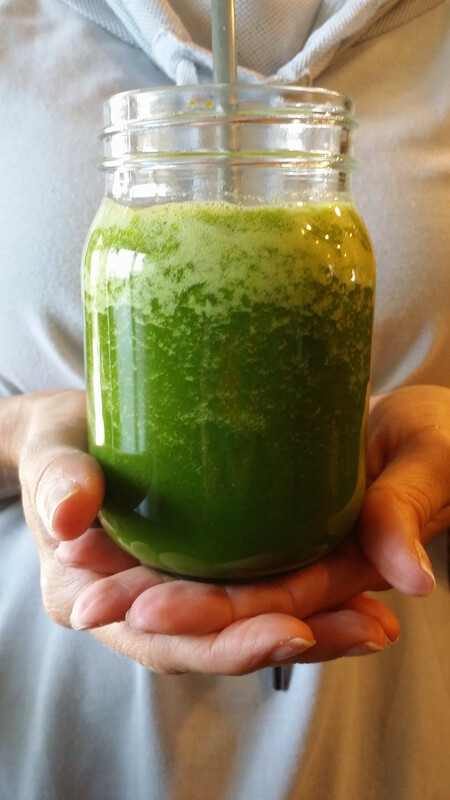 This green drink is not only delicious, but is loaded with vitamins, minerals and nutrients good for detoxing and restoring your body to health. Using a blender, add in water, spinach, romaine and celery. Blend until smooth on low. Add in pear, banana and lemon juice and blend on high until smooth. Add in ice if desired. Make this lower in sugar by removing the banana or only using 1/2. Make it protein rich, by using Coconut milk in place of water and/or using protein powder.Change up the greens and use another dark, leafy green like Kale instead of spinach.